In this post I’ll explain how to do a website migration. Instructions are given for a website that uses a CMS and a database (WordPress in this case), but the principle is the same for a majority of websites (sites without database just don’t need the steps explaining database migration). I will try to explain briefly, clearly, step by step (for just backing up see: WordPress website backup). Let us begin. Have control over domain’s registrar. Have current website and database backups. Be able to migrate the website to a different hosting server. If you don’t have backups, can’t migrate the website, or don’t control the nameservers through domain registrar, You won’t be able to make the site work in case anything goes wrong – either with hosting provider, their server, or the website itself. Main purpose of this text is to serve as my personal reminder, so I don’t have to bang my head on each website migration: “how was that best done?” This has worked for me for the past two migrations of about a dozen websites, I don’t see why it shouldn’t work universally. Tested this for shared and reseller hosting. Still, do take all the advice at your own risk, I’m not taking responsibility if anything goes wrong. Choose hard to guess user names and passwords! In this text everything is given as an example – easy to remember and understand. Exact screen and panel designs of your hosting providers may differ, but principle is the same. Recommendation: read the entire manual just to see all it explains. Then read it again, trying to see if there’s anything you don’t quite understand (and google to get it all, if the links from this website aren’t sufficient). Only from the third go should you proceed with following step by step instructions for migrating your website. Some of the links in this article are affiliate. That means: if you go and buy something using the link(s), the price is the same for you (if not cheaper), while I get a small commission. I recommend only the stuff I like and use (many companies offer affiliate commissions – the worse a product, the higher the commission 🙂 ). My experience with the previous hosting provider and how I looked for a new one is explained here: Justhost review. example.com – domain used for example – change it with the domain You are moving. working.com – domain used as “main” if reseller hosting is used. old-host – hosting (provider) where website is currently placed and from which it is moving – “old hosting”. new-host – hosting that website is moved to – “new hosting”. oldusername – username on the old-host for accessing cPanel, FTP, etc. old-password – password for oldusername. newusername – username (that will be created) on the new-host. new-password – password for the newusername. old_database – database name on the old-host. 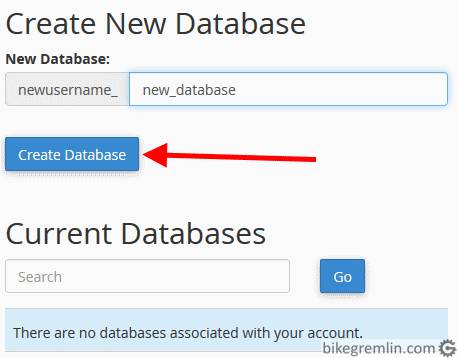 new_database – database name (that will be) created on the new-host. old_db_user – database user for the old_database – on the old-host. old_db_password – password for the old_db_user. new_db_user – database user (that will be created) for the new_database on the new-host. new_db_password – password for the new_db_user. old_root_dir – directory where the website is located at old-host. Entire procedure for backing up a website, with different methods explained with screen-shots is given in a separate post: website backup. I won’t double that explanation here – read the linked page and back up Your website. Backups made will be used for the website migration, as will be explained in the remainder of this post. Username (for this manual we’ll say this is: “oldusername”). Old directory where the website is located with old-host (old_root_dir). Leading and trailing slashes will always be expressly shown if they are needed! Whatever the situation is, make a .txt file and write down all the data. Better yet, store it all encrypted using KeePass for example, since this is sensitive, confidential information. On the new hosting (new-host) You should get some username and password for logging in, or create them yourself when registering with the host. The newusername for accessing cPanel and using FTP (and/or WHM if using a reseller hosting account) is usually generated by the host, most often to match the domain you provided when registering. Password is one you made when registering with the host, it certainly helps to make it strong, long and known only to you. In this manual I’ll be using made up: newusername and new-password. If You are using Cloudflare, You will need this IP address – explained later. Whether You use shared, or reseller hosting, you could register the “main” account with a “working” domain. By this I mean a domain that doesn’t have anything to do with your website. You could register a domain like: dddfffggg123.com with a domain registrar (as Namecheap for example – affiliate link) as the “main” domain when signing up with the hosting company. Then start a hosting account with that domain (dddfffggg123.com). Let’s call call this domain: working.com. ftp.working.com – or just working.com in FTP client (this depends on hosting provider setup). Even before You move Your website(s). You just need to make the working.com nameservers use the nameservers of the new hosting provider (nameserver change is explained later, in chapter 10). Then be sure to set up SSL for the working domain (chapter 11 deals with SSL). It makes things a bit more convenient, but it’s not necessary. You can always use your host’s website to login to your account. This part goes only if you are using reseller hosting and want to set up the site You are moving to have its own cPanel (smart option). Shared hosting users can jump to chapter 5.3. Log into your WHM (either through the new host’s website, or through whm.working.com if you are using a working domain). You will get a window for choosing the package name and setting up all the limits. Leave limits as default if you’re not sure what you’re doing. One package can be used for all the created users. Or, You can make several packages, so not all the users get the same limitations and options. Click “Create a New Account” – (2) in picture 3. Now we have a user “newusername” with a password “new-password” on the example.com domain. Set the PHP version of your choice. The option is usually within cPanel, saying something like “Select PHP Version” (yes 🙂 ). Once you choose the desired PHP version, leave all the other settings at default , if You’re not certain what exactly should be changed and how. If the website isn’t using a database, You can jump directly to chapter 6. If you are using reseller hosting, chapter 5.2. explains how to create a user with username “newusername” and password “new-password”. If You are using shared hosting, hosting provider would have provided you a username, but for this example, we will pretend that you are given “newusername” and You’ve set the password to “new-password“. Log into the cPanel. 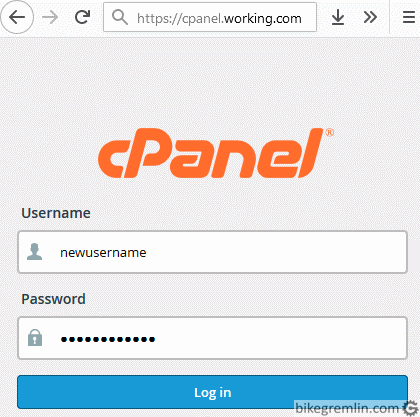 Do this using cpanel.working.com if you are using a working domain (picture 7), or using your hosting provider’s user panel (picture 2, just click on cPanel, not WHM). Once you are logged into the cPanel, click on “MySQL Databases”. Of course, user can only be given certain privileges, not all – if You know exactly what you are doing and why. Now open cPanel’s “File Manager” and see the user’s home directory (sometimes the info is shown directly within the cPanel as “Home Directory”). But from now on, we will refer to this as ” new_root_dir “. Do the same with the old-host cPanel to confirm what the “old_root_dir” is, if you haven’t already in the chapter 4 step. new_database name – created in chapter 5.3. as “newusername_new_database”. new_db_user created as “newusername_new_db_user” – chapter 5.3.
new_db_password – password for the new_db_user, here we used “new_db_password” – not the best one, yes. new_root_dir – as explained in chapter 6. in this case it’s “home/newusername/public_html”. We should also have the data of the old-host. These shortnames are all explained in chapter 2. Terms used. Make a working copy of your old-host backup on which you will do all the editing. Make sure you have (at least one) reserve backup! If both the database names, database user names and passwords, and directory paths are the same for the old and the new website location, then You can skip to chapter 8.
old_root_dir should be replaced with new_root_dir. Within .json files, mind that directory paths aren’t divided with slashes ( ” / ” ) but like this ” \/ “, for example: home1\/oldusername\/example-website. So that’s another thing to search-replace (both / and \/ path versions). old_database replace with new_database (if they differ – same as we did with the exported database file – above picture 15). Of course, save all the changes and zip all these (changed) files together, so they are easily uploaded to the new-host. Depending on the hosting provider, some parameters may differ (ftp.working.com for example), but the principle is the same. Upload zip file prepared as explained in chapter 7. to the new-host website new_root_dir (see chapter 6 for the paths). After the upload, the .zip file should be unpacked (and later it can be deleted, after it is confirmed that everything works). If the website is not using a database, skip to chapter 10. Database import is fairly simple. Post about website backup explains database export/backup. Difference from that procedure is that here You should choose “restore”, or “import”, depending on the tool. You could start phpMyAdmin from cPanel. Click newusername_new_database to select it, then choose “import”. Select the edited file of the old_database from your computer. Leaving all options at default, just press “Go”. Now all is set. Files and database(s) have been copied, so unless there’s been a mistake when copying, or editing the files (and database), after this step the website should start working from the new-host. We left this for last because we want minimum possible downtime of the website: telling “the World” to go to the new address only after everything else has been setup. If the website is set to force https protocol (SSL/TLS encryption), then, right after making all the settings as explained in this chapter, You should set up SSL/TLS certificates, as explained in chapter 11, otherwise it might not work. What I would do now is go to the website (as it is, still on the old-host) and edit/add a sentence so that I know exactly what was changed. Or add some test comment or something similar. So that I can confirm, after this final step, that these edits are gone and that the website version I’m visiting is the new-host one. There are other ways to test this (IP address for one), but I find this way the most convenient and it gives me the most confidence that everything went well. For nameserver change I will first explain the procedure if using an “ordinary” one, then if using Cloudflare service, or othe “special DNS”. Log into the control panel of the domain registrar that you are using. Find an option that says “manage”, or “edit/adjust nameserver” – something like that. Write down the current nameservers. Replace the old-host with the new-host nameservers. Exact look of this screen differs between domain registrars, but the principle is the same. Once this is edited and saved, it sometimes takes 24 hours, or more, for the change to be propagated to all the DNS-s, and they all start pointing to the new address. If using Cloudflare, this can be instantaneous (one of the advantages). If Your website is set up with Cloudflare protection (Cloudflare’s nameservers set up with domain registrar), then the migration will require editing Cloudflare DNS fields. So, only domain (and the www alias) go through protection (orange cloud). All the other “stuff” is left to go directly to the set IP address. For the working domain, a field whm should be added, if you wish to log into WHM using: whm.working.com. TXT default._domainkey – copy/paste from cPanel, it’s quite long. If the new server hasn’t got SSL certificates properly in place, “Full (strict)” mode will show errors when connecting to host server. If choosing flexible, sometimes a too many redirects error can appear, again not loading any pages (except maybe the front page). “Full” has been the “safest” option for me, until it is all set up, then switching to “Full (strict)”. Make sure the steps from the previous chapter are all done correctly before doing this. Log into cPanel to update/set up SSL/TLS certificates/settings. Here I’ll explain the setup of Let’s Encrypt certificates. Your menus and procedure might differ (depending on the hosting provider and certificates used), but the principle is the same. If you are not sure what to choose here, start with options as shown here, then experiment, until you get no error messages when certificates are issued. Writing in more details about this is beyond the scope of this post. Go to your website. If you did the changes before editing nameservers and DNS (as explained at the beginning of chapter 10), You should see right away if you are at the right addres. If the old website version is shown: have some patience for the DNS changes to propagate – takes a whole day sometimes (if using Cloudflare the change is instant). Within new_root_dir, find a file named “.htaccess” and make a backup copy of it, just in case. Delete it. Now You should be able to access the website. Log in to admin panel. Click “Save Changes” (without changing anything). It should work properly now. If not – revert the nameserver change (so the website would work form the old-host) and start over – see where you made a mistake, missed an edit, one letter, one extra space, if You forgot something. Slowly, patiently, writing it all down – one step at a time. Check whether everything related to e-mails works (sending, receiving, confirmations, registrations etc.). In more details: problem with e-mails. Check AMP validation (if AMP pages are active on the website). Check whether search, add to shopping cart and all the other website functions are working properly. Backup all the files and databases from old-host. Make a working copy of the backup. 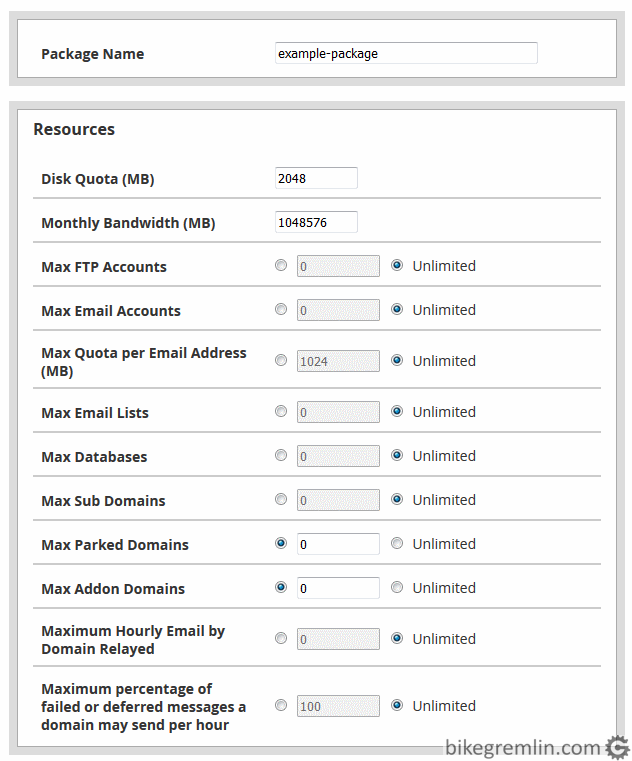 Create users, passwords, databases – all that’s needed on new-host. Select/change PHP version and do other server setups. Edit all the files exported from old-host so they fit/match the new-host pahts, usernames, passwords etc. Import the edited files to new-host. If there are problems, delete .htaccess from root. Test if everything works properly.